Al-Ahram Centre for Political and Strategic Studies has published the results of an April survey into public opinion on the candidates for the upcoming presidential elections. The survey, which was conducted between 31 March and 3 April, was based on a national sample of 1,200 citizens. Using the same methodology as similar previous polls, the survey showed that although the list of preferred candidates has changed, especially after new candidates entered the race such as the Muslim Brotherhood's chosen candidate Khairat El-Shater, voters' opinions have shifted only slightly. It is important to note that these results do not take into consideration the recent announcement of the former vice-president and intelligence chief Omar Suleiman's candidacy. However, the survey was completed after the claims that Salafist candidate Hazem Salah Abu-Ismail's late mother held American citizenship became public knowledge. The Egyptian foreign ministry has since confirmed that the claims are true, making it likely that Abu-Ismail will pull out of the race, as this will make him ineligible according to the rules of the election which state that candidates' parents and grandparents must not hold any nationality other than Egyptian. The questionnaire did not present a list of candidates but rather asked individuals to name their preference. 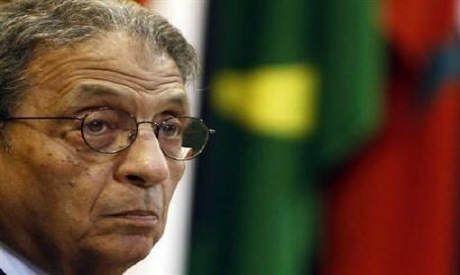 From the voters who had already made up their mind, Mubarak's foreign minister and former Arab League chief, Amr Moussa, remained on top with 30.7 percent of the votes. This is down only 1.2 percent from last month, when Moussa secured 31.5 percent. Salafist Abu-Ismail, however, remained in second place, with 28.8 percent, improving on last month when he received 22.7 percent. Questioned about their second choices, the supporters of Abu-Ismail said that if he withdrew from the race, 32 percent would vote for Abdel-Moneim Abul-Fotouh, 29.3 percent would vote for Amr Moussa, 23.30 percent would vote for "others", 8 percent would vote for Hamdeen Sabbahi, 4 percent for Ahmed Shafiq, and 3.3 percent for Omar Suleiman. Former Muslim Brotherhood member Abdel-Moneim Abul-Fotouh came third this week, two steps ahead of last week, with 8.5 per cent. Mubarak's right-hand man, Omar Suleiman came next with 8.2 percent, down from 9.3 percent last month. Mubarak's last prime minister, Ahmed Shafiq, got 7.5 percent, compared to 10.2 percent in the March survey. Then came founder of the leftist Karama Party, Hamdeen Sabbahi with 3.9 percent, and Islamist lawyer Mohamed Selim El-Awa with 3.2 percent. Perhaps surprisingly, Khairat El-Shater received only 1.7 percent of the votes. Ghad El-Thawra Party founder Ayman Nour received 1.4 percent, and current Prime Minister Kamal El-Ganzouri 1.3 percent. Ganzouri has not applied to run in the elections. At the tail end is Judge Hisham El-Bastawisi with less than 1 percent, and "others" with 3.9 percent. In a question about the responsibilities of the upcoming president in the new constitution, 94.5 percent chose to include both local and foreign affairs, while 3.3 percent thought that the president should become an honorary position, with major responsibilities being held instead by the prime minister. Only 2.2 percent thought that the president should hold responsibilities regarding foreign affairs only. Finally, in response to a question asking if respondents would choose to change their choices in the recently-held parliamentary elections, 60.9 percent said they would vote for the same party the second time, while 38.1 said they would change their choice, and only 1 percent said they would not bother to vote.